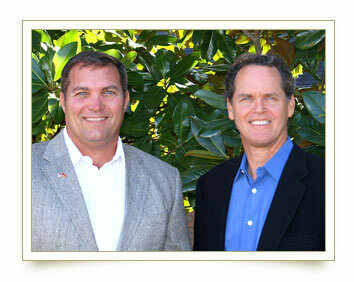 Dan Snyder and Tom Hankins founded Snyder-Hankins Custom Homes in 1999. Since then, their signature style and integrity have made them one of the premier custom home builders in North Carolina. Their special attention to fine details, such as beautiful interior trim work, special ceiling treatments, and exciting plan designs has earned Snyder-Hankins Custom Homes, Inc. the prestigious Parade of Homes perfect score and a Parade of Homes Gold Award. Tom Hankins graduated from the University of California, Berkeley with a Bachelor of Science Degree in Business Administration and has over 26 years in the building industry. Dan Snyder, with over 12 years in the industry, graduated from Wichita State University with a Bachelor of Science Degree in Administration of Justice as well as a Masters Degree in Business Management from Webster University. Dan is also a Lieutenant Colonel in the active Marine Corps Reserve. 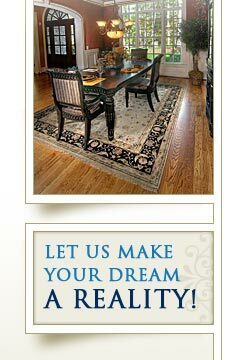 Together, Dan and Tom are dedicated to the design and construction of your dream home. Their artistic sense of design, coupled with solid building techniques and attention-to-detail, ensures that your new Snyder-Hankins Custom Home will reflect your personal lifestyle and demand for quality. Snyder-Hankins Custom Homes has assembled a team of the areas most skilled and reliable craftsmen as well as highly professional specialty companies in an effort to ensure you are delighted with your home. Custom kitchens and flooring, security systems, glass, lighting, masonry and stonework are just a few examples of the kind of attention your home receives when you choose Snyder-Hankins Custom Homes as your builder. Featured in the Frank Betz Associates "Find a Builder Program"
Website Developed by: Parker Visuals, Inc.